Who’s in charge of what conversation? What are my support staff up to? Where are the emails about billing? How are my service levels like? Without a clear answer to any of them. It goes without saying that disorganized inboxes, distractions and other productivity pitfalls are one of the main money sinks for small businesses. A poor workflow, a poor interface, unproductive actions, the overwhelming feeling of a mounting email pile – all contribute to email stress. 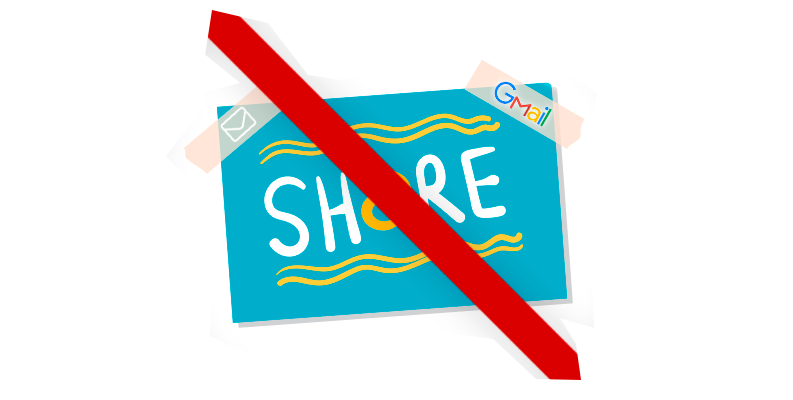 What is a Shared Email Inbox? Simply put, it’s an email account that gives a number of your users access to it. Teams that connect to the same account have access to the same information. The disadvantages are clear from the start: everyone sees conversations meant for someone else – whether they’re specific individuals, departments or the office pet. We all want to minimize email stress. A shared inbox can only add to that frustration. Email itself may never disappear as a conversation medium, so the way businesses approach email management should be unique to their needs. To use shared email you should be a certain type of organization, or an organization that is willing to change how it operates. Most importantly, you must be an organization that’s prepared to depend (and grow) on a single email account. Gmail’s famous starring function may be enough for organizing personal emails, but it’s a huge hindrance for even a small team. Once stars start to mean different things, you’re prevented from working effectively – it may be a sign to look elsewhere. Most email clients give you just one or two ways of sorting emails. However, businesses need much more flexibility than that. This includes sorting conversations by ID number, email subject, date requested, or assigned to someone from your team. There’s that famous too many cooks in the kitchen adage. When co-workers view, edit, or reply to an email at the same time, that is known as collision. The pitfalls are obvious: lost productivity, frustrated coworkers and worst of all: the customer receiving two (likely inconsistent) responses. Grouping messages together ensures that nothing (and no one) gets forgotten. It can be used to separate everything from feedback, to marketing offers, to refund issues. A proper service desk has a full-fledged tag manager which gives you the ability to set, remove or change tag properties on the fly. No request is created equal. What if you need to focus on tickets only assigned to particular people, set aside urgent messages or create custom folders for VIP customers? Create an unlimited number of ticket filters and views. Tabs (such as the ones offered in Gmail) are not so flexible. Can’t find requests that you were working on yesterday? One email account is like a giant blender which takes all conversations and mixes them into one pile. Yet, having multiple email accounts without a way to easily move (or transfer emails) between them is a productivity black hole. Wouldn’t it be nice to assign issues from a certain customer group to a particular support agent? Assigning billing issues to a finance team, escalating urgent issues up a retention department becomes impossible. Sending automated emails to specific customers (or a single user) can be a lifesaver in some support or email marketing workflows, too. There are simply too many customer service metrics you can’t afford to ignore. Without measuring your past activity, you don’t know what to improve upon. And if you don’t improve, you stagnate and – before you know it – customers start leaving. Reporting and analytics is something that’s foreign to a shared mailbox. When you’re replying to an email, context is important. Things like customer information, a group or organization they are part of. What about the all-important things such as previous interactions, including emails, ideas, questions, votes or comments added? Proper user management options is also something outside of a shared mailbox’s functionality. A real help desk will have extensive user profiles, multiple fields, and the ability to perform actions for and on behalf of a user. There are many pitfalls that await you as you grow. It’s easy to disengage and fall off your customer’s radar. It’s just as easy to coast through mediocre customer service. Going above and beyond requires constantly moving, improving and excelling. Keeping a personal touch while growing isn’t easy, but that’s exactly what you must do to get customers to notice. Email is stressful as it is. A simple email account or a shared inbox, no matter how good, can’t handle increasing customer expectations, diverse teams, and constant onslaught of requests. Is Gmail a bad tool? Definitely not. There’s tons of collaboration add-ons, including the Inbox, Docs and Hangouts all within the rock-solid Google ecosystem. The problem is that these tools are not designed to work as a customer support application, or as a workload management tool for businesses. And if there’s certain features that you are particularly fond of in Gmail, there are ways of replicating that warm, fuzzy feeling in your ticketing system, too. Once you start experiencing the limitations of a shared mailbox, it will become too obvious that it’s time to start looking for alternatives. For that, we created an easy-to-follow 15-step question checklist on picking your next help desk software. Remember: it’s never too late to start to improve your communication.